The presentation rubric is perfect for grading in-class or online presentations, oral presentations, or any other public speaking evaluations. 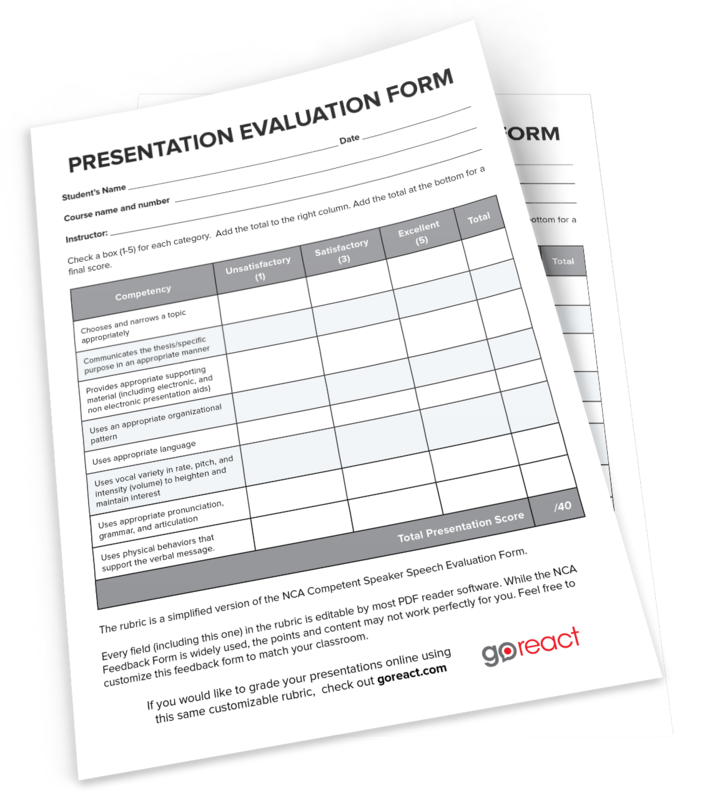 The rubric is built on the NCA standard metrics for feedback, so it's great as is. But we know every class is different, so we made it simple for you to customize and make your own. This feedback form will allow you customize everything from the description of the graded metrics to the points awarded for each section of the rubric. Open the PDF with any standard PDF viewer, fill in the details, and start grading! If you like this feedback form, you will love GoReact. If you want to make grading your presentations even EASIER, we should talk! © 2016 GoReact | All Rights Reserved.